Ali Jee is a well-known Shia Pakistani Noha reciter, who has been singing since he was seven. He began his career by singing along with his father, Nadeem Sarwar, who is also a popular Noha Khwaan. Thereafter, Ali along with his brother Ali Shanawar, has released many albums and singles, which are popular among Shia or Suni community. His collections of Nohas are very popular during the Islamic month of Muharram when his Nohas are listened to and recited by several people. 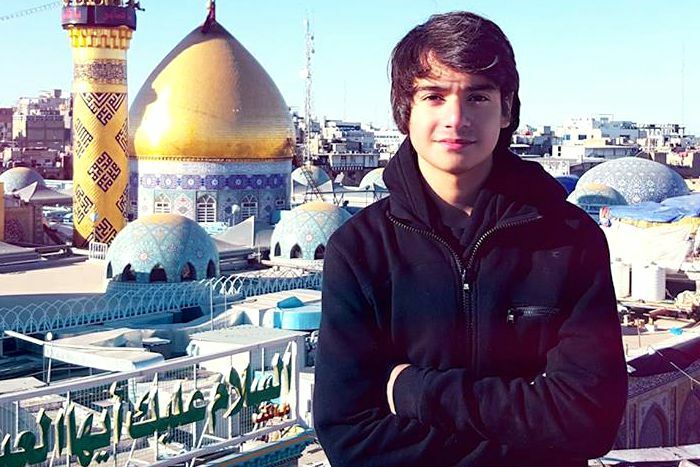 Ali Jee was born on 3 January 2000, in Karachi, Pakistan. He is currently 19 years old. Ali wasn’t able to get tradition education as he began reciting Nohas at an early age. There’s no information about his romantic life at this time. In 2015, Ali released his debut album, “Ana Zawaar” followed by “Ya Ali Madad” in 2016. His single “Baraye Dil E Dukhtar” has attracted over 2 million views on YouTube. He hasn’t appeared in films or television series. There is not much known information about his net worth at this time. Jee started singing at the age of seven. His father is his biggest inspiration to become a Noha reciter. He was trained by his father. His solo career started off in 2011 and since then, he has recited several Nohas. With his Persian Noha “Baraye Dil e Duktar” attracted more than 2 million views on YouTube, Jee is considered as the first Urdu Speaking Noha Khuwan to reach one million views on YouTube. He’s a member of Team Safeer-e-Aza.